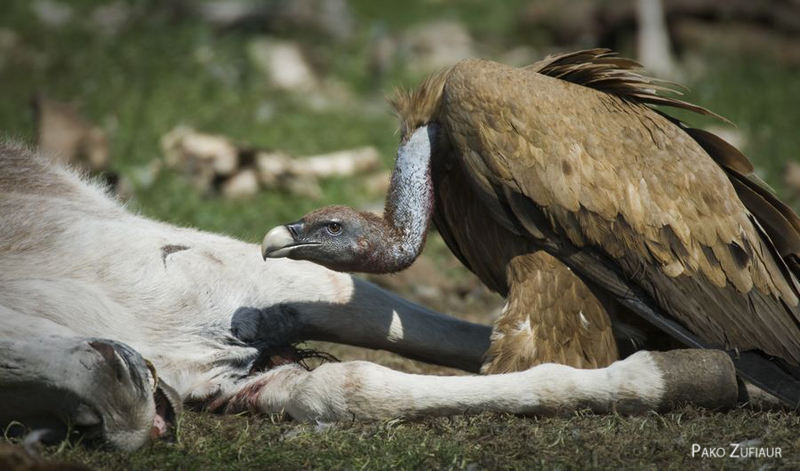 Large vulture specialized in the consumption of large carrion. 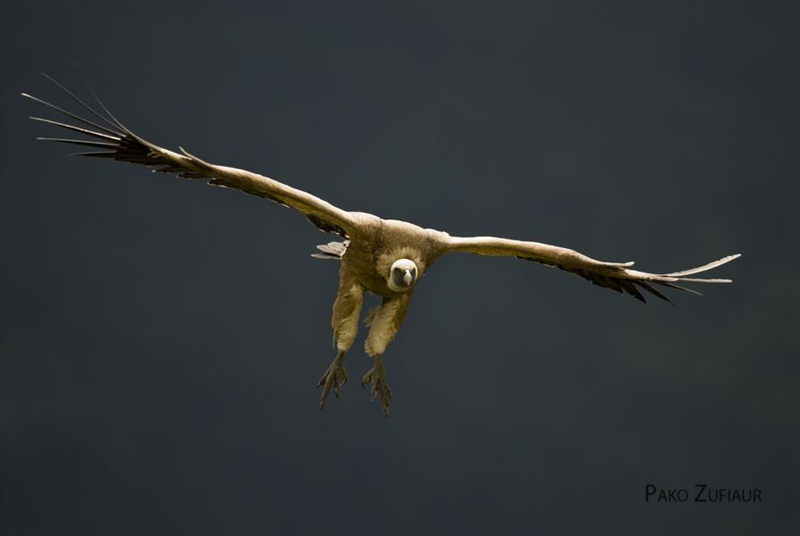 In flight it displays wide and powerful wings with a 2.5m wingspan allowing it to cover large distances. Adult birds weigh 6-9 kg. With a predominantly pale brown colour on its body and upper-wing plumage contrasting beautifully with the dark flight feathers on the rest of the wings and tail. The neck is covered with fine white down feathers, adapted to eat inside carcasses with a creamy-white ruff of feathers, white in adult birds and light brown in the young. It has a very sharp beak and relatively weak claws. Habitat: Rupicolous species linked to rocky cliffs where it grows in colonies from sea level to mountain highs. Occasionally it occupied other species nests in trees, particularly those of the black vulture. In Castile and Leon the largest populations are concentrated in the northeast quadrant of the region, mainly in limestone cliffs in the Burgos and Soria provinces, although the largest breeding colonies are located in Segovian rivers’ canyons (Riaza and Duratón) and in Salamanca’s (Huebra and Duero Rivers). From these the colonies forage into open environments in their search for food. Diet: Strict scavenging species specialized in the consumption of large wild and domestic hoofed animals. In the Iberian Peninsula it has historically been linked to domestic livestock, being regular visitors to the regions with high densities of extensive livestock and game farms. The rise in the number of barns in Spain, has contributed to its expansion and a spectacular population recovery. 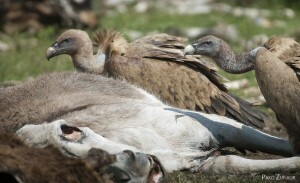 Daily trophic needs: Estimated at 548g of carcass/day for an adult. Or 500Kg/year for a reproductive pair with a chick. Breeding: Colonial species that starts breeding in winter, occupying rocky ledges and caves cut. 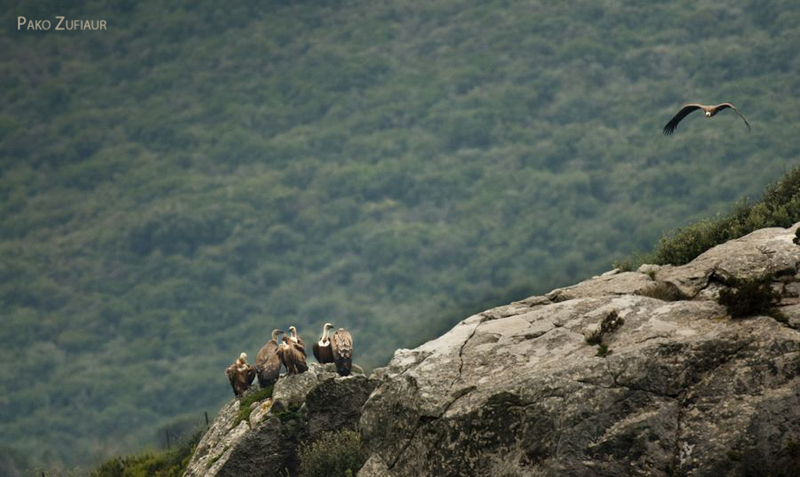 Exceptionally it occupies black vultures’ tree nests. It lays a single egg that is incubated for a 48-54 days period. The chick’s development in the nest is long, taking between 110-115 days. The chicks abandon the nest in late summer and early fall. 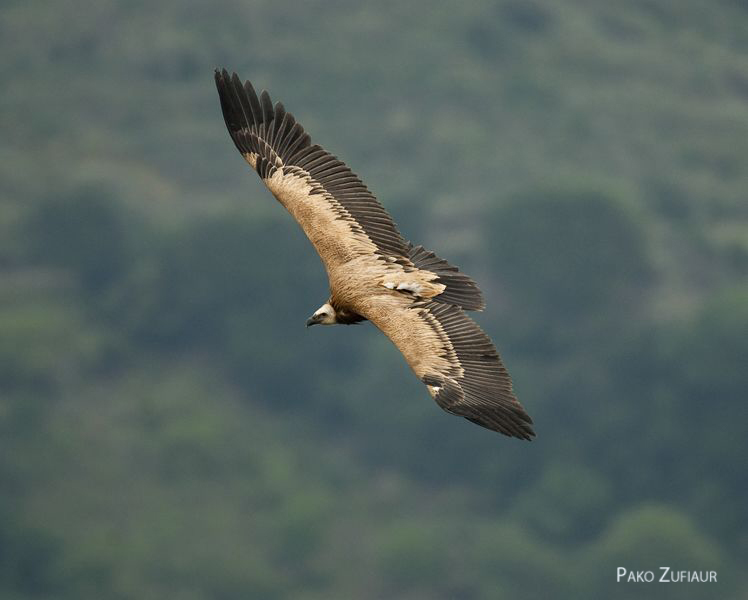 There are two recognized subspecies: the nominal G. f. Fulvus which extends throughout the Mediterranean basin, from north-western Africa, Iberian Peninsula, southern France, including the islands of Mallorca, Sardinia, Crete and Cyprus, the Balkans, Turkey, Middle East, Arabia and Iran to Central Asia. The subspecies G. f. fulvescens is found in Afghanistan, Pakistan and northern India to Assam. 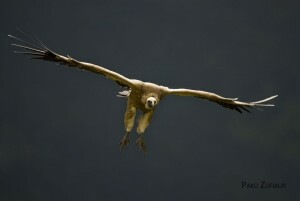 In Europe it is being successfully reintroduced in several countries where it was extinct. In Spain the main populations are concentrated in the northeast quadrant, mainly in Castile and Leon (Burgos, Segovia), Aragon and Navarra, north of Castile La Mancha (north of Guadalajara and Cuenca), and the Eastern Cantabrian. Moreover there are significant populations in the south and west peninsular third; in mountains of northern Extremadura, south of Castile La Mancha and several mountain ranges of Andalusia, mainly in the provinces of Jaen and Cadiz. There is no reliable data on the overall global population. 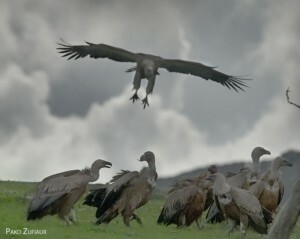 With some 30,000 breeding pairs in 2008, Spain is home to most of the European population. With around 6,000 pairs, Castile and Leon is home to (24%) almost a quarter of the Spanish breeding population. The illegal use of poison is the main cause of unnatural deaths alongside accidents caused by power lines. Some wind farms located in areas close to feeding areas and migration routes have registered high mortality rates. The removal of corpses that took place after mad cow crisis and the abandonment of middens, have led them to frequent rubbish dumpsters. Its long reproductive period makes it very sensitive to disturbances caused by sporting activities.